Thank you for considering Professional Learning Board. Please contact us with your questions, ideas for new courses, and any other ways to improve your professional development. We love to hear from teachers! All classes are available almost immediately (please allow 15-30 minutes after payment is completed). Find courses and begin learning now! Self-study courses have no time limit and include ‘lifetime enrollment.’ This means that course materials can be accessed at any time. For example, let’s say you are not working with any students who are on the Autism spectrum when you go through and complete the Intro to Autism course. Then, next semester, you find that there is a student who is on the spectrum in your class. At this later time, you can go back into the Professional Learning Board materials to refresh your knowledge, find resources, etc. The certificates for each course may only be earned one time. Semester graduate credit courses are available for four to six weeks. All Professional Learning Board courses are accessible via the Internet and can be accessed from any Internet-enabled device including a computer, smart phone or tablet. Courses do not require downloading. Many courses offer optional downloadable resources that can be put to use by teachers working with students in a classroom. Who can take Professional Learning Board courses? Teachers, substitute teachers, assistant teachers, paraprofessionals and other education service professionals use Professional Learning Board online classes to renew a teaching certificate, renew a teaching license, develop a professional development plan and meet state requirements. Self-study – These courses are seminar replacement courses in which you study the course content and complete a quiz in order to earn a certificate of completion. There is no interaction with a course instructor. Most self-study courses are 5 clock hours. Self-study courses include lifetime enrollment. Graduate Credit Courses – Self-paced Professional Development Credit classes incorporate online content, quizzes, interactivities and a Course Action Plan you can put to use in your work environment. Receive 1 semester graduate credit through a regionally accredited university. Learning takes place asynchronously, at your convenience, and may be completed over a period of 4 weeks. Note, teachers looking for graduate semester credits, please check with your issuing authority about whether it will accept these online teacher courses for graduate credit towards an advanced degree program or salary advancement. We also offer course packages that allow educators to enroll in multiple courses and save money, team courses (both online and in person) and custom development services. What kind of computer is needed to access courses? Access Professional Learning Board courses using Mac, Windows or Linux-based personal computers and an Internet connection. 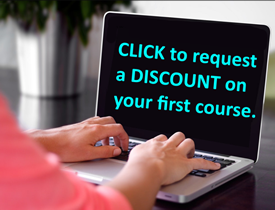 Our courses are best viewed with Microsoft Internet Explorer and Firefox, Adobe Flash Player and Adobe Acrobat Reader. Unsure if your computer has these programs, you will be prompted to install them if needed during the courses.Other web browsers do work as well. Which courses meet the MN relicensure requirements? As part of the 125 clock hour requirement, the Minnesota Legislature, by statute, requires all teachers to evidence these areas to renew a teaching license: 1) Positive Behavioral Intervention Strategies, 2) Accommodation, Modification, and Adaptation of Curriculum, Materials and Instruction, 3) Key Warning Signs for Early-Onset Mental Illness in Children and Adolescents, 4) Reading Preparation, 5) Technology 6) English Language Learners 7) Reflective Teaching statement for some teachers and 8) Suicide Prevention. Courses that help Minnesota teachers meet these requirements are included in course packages or individually. Complete Professional Learning Board classes online and at your convenience, whether early in the morning, during a prep (with permission and alignment with your contract, of course) or late at night. You decide. Professional Learning Board online courses are on-line. Can I come back and finish a course later? In other words, if I purchase the course at my work, can I bring it up and continue from my home computer? Yes, you can access the course from any internet connected location. The course clock hours are determined by the equivalent classroom-based clock hours. Completion time varies by individual. You can access the course at your convenience for as much or little as your schedule permits, e.g. start the course for 15 minutes and next time you log in you spend an hour. You can access the course material endless times (and at any time of day). It doesn’t look like you have the course I need. What can I do? Please contact us as it may be under development and responding to your needs is what keeps us continuously learning and improving. What will I receive from participating in a Professional Learning Board course? Professional Learning Board courses include resources, opportunities for collaboration, instructor feedback, interactivities, samples, strategies, tactics, and more — all put-to-the-test by fellow education professionals. You will receive a printable certificate, or where applicable an official transcript, upon successful completion of the course requirements. Do all courses offer audio narration? My certificate is not listed in my transcript, where is it? Double-check in the online classroom space that you’ve completed all of the course work and received feedback where needed. Yes, I finished the course. How do I get my certificate? In the self-study (non-graduate) courses, the certificate is available immediately upon successful course completion. Can I get more than one certificate for a course? No. You may only receive a certificate of completion for each course once. However, you are free to access the self-study courses as often as you like as a reference tool. What institution issues the semester credits? Professional Learning Board is an academic partner with regionally accredited institutions. What is the value of credits? Professional Learning Board courses earn 1 semester credit. One semester credit is generally equivalent to: 1.5 quarter credit – 15 contact hours – 24 clock hours. Contact your school or local education authority to determine how these are valued in your situation. Are your courses accepted at my school? Can I receive CEUs (Continuing Education Credits) or clock hours? Teachers and other education professionals across the country and in several countries use Professional Learning Board classes to meet local and state licensing, relicensing and professional development requirements. All course descriptions (see course catalog page) list CEUs (continuing education units), clock hours, etc. Please review your local policies for the specific credit request process and relicensure policy. Continuing education graduate credit/CEU/CPDU/PLU/CLE/CLU/CPE/PDU/PGP/PDP clock hour valuation is the final decision of your school district, continuing education committee or other relevant authority. Professional Learning Board does not guarantee acceptance by your school, district or licensing authority. Can I receive Lane Change or Salary Advancement credit? Many teachers are able to receive credit toward lane changes through successful completion of courses. Please contact your school or local continuing education authority to determine lane change policy. Can I cancel enrollment in a course? Yes, cancellation and refunds are available for non-credit courses if a certificate of completion has not been issued and within one week of enrollment. Please see the college or university policies if enrolled in a course there. Are there any prerequisites for enrolling in graduate credit courses? Yes. You must hold a baccalaureate degree. Are graduate credit courses eligible for financial aid? Graduate continuing education credit courses are not part of a degree program and therefore, students enrolling in these graduate courses are not eligible for financial aid. Can I use the online teacher courses toward a Master’s degree? Check with the graduate school in which you are enrolled regarding transferability of any credits. Do courses qualify for tax purposes? Please consult with your tax adviser as Professional Learning Board does not provide tax advice.